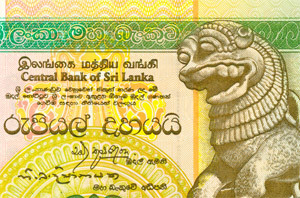 After months of conjecture, Sri Lanka’s central bank announced on February 9 that it would no longer defend the rupee at a particular level—in effect, allowing it to float. The move spooked investors, spurring a sell-off in the country’s stock market and leading analysts to slash their estimates for 2012 GDP growth to around 6%. The official state forecast puts it at 7.2%, down from a previous projection of 8%. While that’s still nothing to be ashamed of, Sri Lanka’s economy is in for some tough times. In hindsight, the devaluation was only a matter of time. Other currencies in the region—and India’s rupee in particular—had been slowly depreciating for months. Sri Lanka’s rupee was steady—as a result of extensive intervention: The central bank burned through one-third of its foreign exchange reserves in just five months defending the currency, leaving just 3.6 months of import cover as of early February. A carefully managed 3% devaluation on November 20 was little more than a stopgap measure. With the trade deficit steadily rising, as cheap loans and an overvalued currency fueled imports, the economy faced a looming balance-of-payments crisis. In an effort to reassure markets, in early February the central bank belatedly raised interest rates, for the first time since 2007. Sri Lanka’s problems are far from over, though, following a roughly 7% depreciation of the rupee over the first three weeks of the new currency regime. Recent strength in the oil price will further push up imports. And trade sanctions imposed on Iran, which provides 93% of Sri Lanka’s oil, will make it more challenging to access oil. 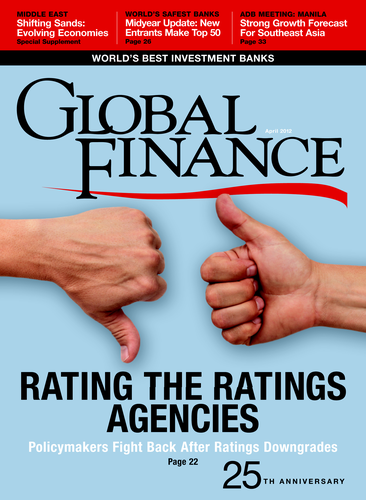 In late February, both Fitch and Standard & Poor’s ratings agencies cut their ratings outlook on Sri Lanka, pointing to the dangers of depleted foreign currency reserves. One saving grace of the decision to allow the rupee to depreciate was that the IMF would make available the final $800 million tranche of its $2.6 billion loan program, which was suspended in September. However Sri Lanka announced in February this year that it would not draw down the last tranche.